Eleven GSD alumni have been elevated by the 2018 Jury of Fellows from the American Institute of Architects (AIA) to its prestigious College of Fellows. The honor recognizes architects who have “achieved a standard of excellence in the profession and made a significant contribution to architecture and society on a national level.” A ceremony honoring the new fellows will take place on June 22 at the AIA Conference on Architecture 2018 in New York City. Read the AIA press release. Image courtesy of the AIA College of Fellows. 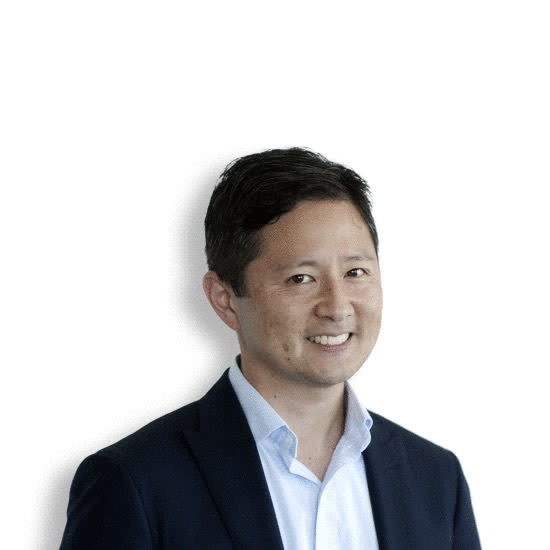 Jonathan Kanda MArch ’96, FAIA, LEED AP BD+C, has been elevated by the American Institute of Architects (AIA) to its prestigious College of Fellows. Kanda has 20 years of experience in the field, currently serving as a Principal at CO Architects. Since joining the firm in 2003, Kanda has led medical and health education projects in 12 states for institutions that are re-envisioning their curricular and pedagogical approaches. He is a nationally recognized specialist and frequent presenter on innovations in simulation and collaborative learning environments for higher education and academic medical programs. 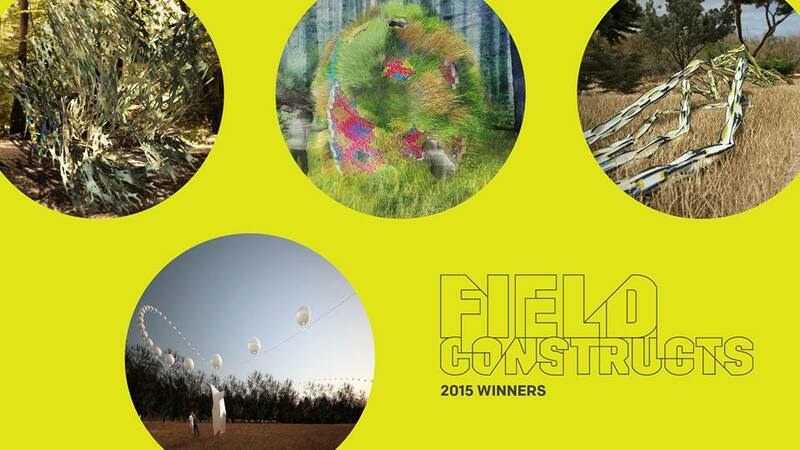 Image courtesy of CO Architects. Roderick Wyllie MLA ’98 and James Lord MLA ’96. 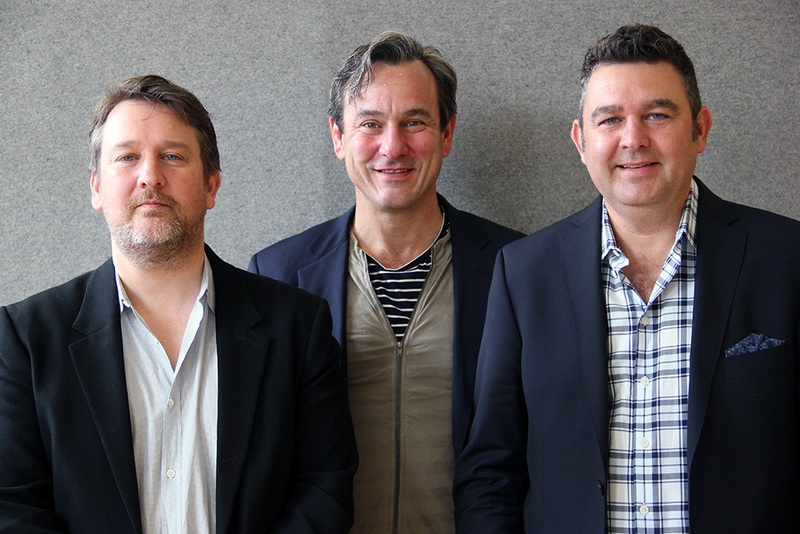 Roderick Wyllie MLA ’98 (left on photo below) and James Lord MLA ’96 (right on photo below) partners at Surfacedesign were selected as recipients of the 18th Annual National Design Award in Landscape Architecture. The landscape architecture award is given to an individual or firm for exceptional and exemplary work in urban planning or park and garden design.  Surfacedesign is a landscape architecture and urban design firm based in San Francisco. Founded in 2001, the award-winning practice creates dynamic parks, plazas, waterfronts, civic landscapes, and private gardens. James A. Lord, Roderick Wyllie, and Geoff di Girolamo, in collaboration with a multidisciplinary team of landscape architects, urban designers, and architects, provide innovative design solutions for a wide range of projects, including the Smithsonian Master Plan, Auckland International Airport, Golden Gate Bridge 75th Anniversary Plaza, and IBM Plaza Honolulu. Integral to the philosophy of the practice, Surfacedesign focuses on cultivating a sense of connection to the built and natural world, pushing people to engage with the landscape in new ways. 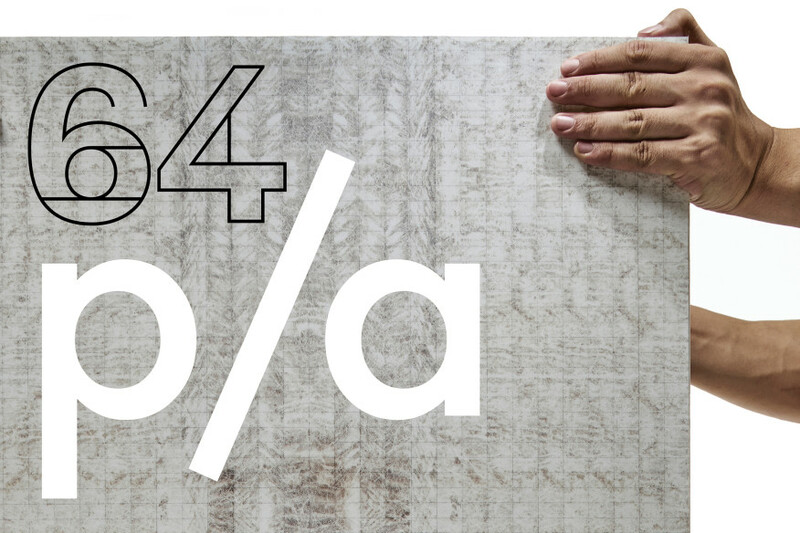 Read more about Surfacedesign, Inc. and the National Design Awards. 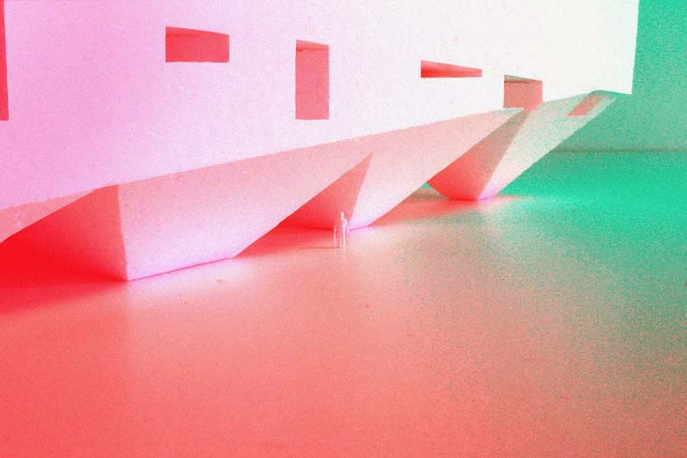 Image courtesy of Architect magazine. James Lord’s MLA ’96 firm SURFACEDESIGN received a 2015 ASLA Honor Award for the IBM Honolulu Plaza. Surfacedesign, Inc. and its principals–James A. Lord MLA ’96, Roderick Wyllie MLA ’98, and Geoff di Girolamo–received the Architectural League of New York’s 2014 Emerging Voices Award, recognizing North American individuals and firms with distinct design “voices” that have the potential to influence the disciplines of architecture, landscape architecture, and urban design. 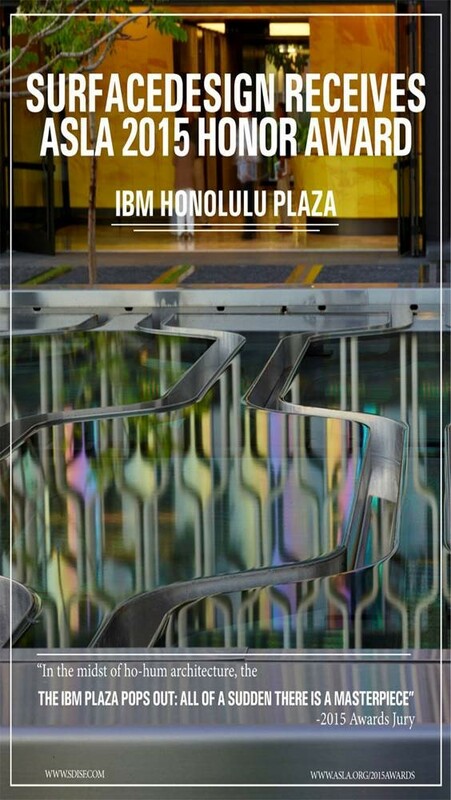 James Lord MLA ’96 and SURFACEDESIGN are to receive a 2015 ASLA Honor Award for the IBM Honolulu Plaza. Read more about the project and award. Patrick Daly MArch ’91, Riki Nishimura MAUD ’03, and James Lord MLA ’96 worked on a paid competition for the design of the City of Mesa City Center in Arizona. They presented their work to the mayor, city council and the people of Mesa in August. Results will be announced later this month. Learn more about their concept for the project here.